The 90’s generation has an ever growing interest in products and games that allow them to relive their youth. Pokemon was a major part of childhood for millennials, who remember collecting and trading Pokemon cards during recess at school and on weekends at home. Finally being able to immerse themselves in the world of Pokemon was an exciting concept made possible thanks to technological advances. Now, rather than simply imagining how they would catch, train, and battle Pokemon, they could actually do it. For consumers, Pokemon GO quickly became a phenomenon. For businesses, there was an obvious opportunity in coming up with Pokemon GO marketing strategies. Even now, a year later, Pokemon GO continues to be a regular pastime as people make their way to school, work, or just about anywhere else. As long as people have their phones available, they can find and catch Pokemon wherever they are. Which means that if people are in your business establishment, there’s a good chance they’re already playing Pokemon GO. So how can you make the most of this? While most businesses are trying to cash in on Pokemon GO, some have actually banned customers from playing Pokemon GO in their establishments. It’s understandable in some instances, like somber museums or memorials where respect is key. But in most cases, Pokemon GO has little negative impact and can, in fact, drive up sales if an effective Pokemon GO marketing plan is in place. If you’re in a relatively urban area, or just near a popular part of town, chances are there’s a Pokestop or Gym nearby. A Pokestop is a virtual place where players can go to stock up on necessary supplies within the game. Pokestops are usually found near landmark locations, and players need to visit them often for more Pokeballs (to catch Pokemon), Potions (to recover after a Pokemon battle), Eggs (to hatch more Pokemon), and more. If you’re located near a local landmark, find out if it’s a Pokestop. If so, get the word out that Pokemon GO players can get what they need on the way to your store or business. Players also need to wait at least five minutes between restocking at the same Pokestop, so you can offer up your business as a place to wait until they can go back for more. This is about more than just letting people play in your store. Make it so that they actually want to come in and stay for a while. Offer up charging stations where people can plug in their phones. You can also set up Pokemon Lures which attract more Pokemon to a particular location (and therefore, attract more people, too). This will require you or someone else at the company to set up a Pokemon GO account, but if you ask around, you’ll probably find at least one employee who already has it on their phone. People love getting free stuff. Think about some items that people will want, and set milestones or contests based on the Pokemon GO app. This is a great way to mix in Pokemon GO marketing with branding for your own business. For example, you could offer each Pokemon GO trainer who is above a certain level in the game a free slice of pizza, power bank, T-shirt, or whatever item makes sense for your business. If you operate a restaurant, offer a free drink or meal. If you’re in retail, consider an inexpensive product. Normally you’d try to prevent employees from battling with customers, but in this case, it’s all fun and games. Find an employee who’s already active on the app and encourage them to train and battle customers. In this way they can build a positive relationship while fostering friendly competition. There are three Pokemon GO teams: Team Mystic, Team Valor, and Team Instinct. The teams battle for control of local Pokemon Gyms. Depending on which team is control of the closest Gym, you can offer discounts to members of that team. Encourage your customers to take screenshots of their latest wins or Pokemon captures that took place in the store. From there, ask them to share these pictures on social media and tag your company in the posts. Then, you can share these pictures from your own social media accounts to further build excitement and exposure. Bonus points if your logo or other branding is included in the picture. Assuming you already have a social media marketing plan in place, feel free to add Pokemon GO pictures and memes to the mix. This is similar to the suggestion above regarding customer posts, but you can also share memes and fun pictures from other pages or create your own. The objective of social media is to keep up with trends and join conversations. Since Pokemon GO is a major trend, it makes sense to add it to your overall social media strategy. If you’re not familiar, Meetups allow people to mingle based on a common interest or activity. They coordinate events online and meet at a designated location. 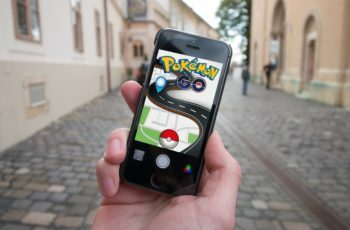 By hosting Pokemon GO themed Meetups or even just regular happy hours if you own a restaurant or bar, you’re getting people together who already share that interest but may not have come to your establishment otherwise. Your main goal is increasing foot traffic, but in order to get people through the door, you can first attract them online. While you can post signs on the door and posters in the windows, those are can only be viewed by people who are already walking by. Create email marketing campaigns to keep your customers in the loop, and consider promoting social media posts to get further exposure online. You can also take advantage of content marketing through blogs to let website visitors know that you’re a Pokemon GO friendly company. Remember, increasing foot traffic often starts with increasing website traffic. Therefore, your Pokemon GO marketing plan should include a strong focus on content marketing. Stay engaged with your followers on social media, and make sure your company appeals to Pokemon GO users online and offline. Want some more tips? Check out our How-To marketing guides online for more Pokemon GO marketing ideas.